You won't want to miss this beautiful full brick 3 bed/2 bath ranch home on over a half acre lot! Split floor plan boasts gorgeous hardwood floors & cathedral ceiling in foyer, dining room & living room. Enjoy large, eat in kitchen with vaulted ceiling, granite countertops & enough cabinet space(and pull out drawers) to store your most prized cooking gadgets. 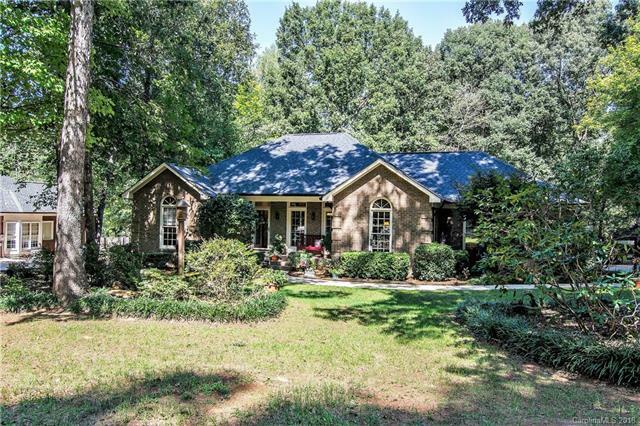 Gather around the cozy brick fireplace on a cool Carolina night or step out on the deck & take in the peaceful, private back yard full of nature. Large master bedroom w/trey ceiling. Master bath with dual vanity sinks, shower, garden tub w/sky light & walk in closet. Spacious secondary rooms for family members or guests to rest their heads. Side load 2 car garage. Well-maintained home ready for its new owner! HVAC/Furnace -2016, Gas water heater 2011, Roof -2011, Vapor barrier in crawl-2017. Refrigerator, washer & dryer convey! Seller offering 1-year home warranty. Close to grocery,dining,golf and more! Easy access to 485. Sold by Pmp Carolinas Inc.